Plan your next getaway with Alberta's free outdoor adventure app. Information on 750+ Conservation Sites makes it easier than ever to find wild outside getaways near you. 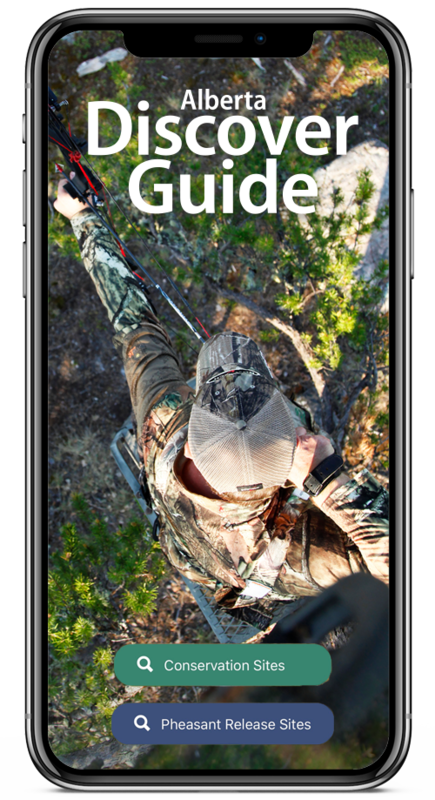 Inside the app, you will find amazing locations for hiking, fishing, hunting, berry picking, wildlife watching, nature photography and family adventures. All sites are conserved for you by Alberta's hunters and anglers, and by our many partners, including Alberta Fish & Game Association and Ducks Unlimited Canada. Click one of the icons below to download the app now! Wherever you want to go, this app’s got you covered. Not into checking the internet on your phone? Pick up the printed Guide. Please provide the following information in the form below. The Guide was made possible thanks to Alberta Fish & Game Association and Ducks Unlimited Canada. Together, they have contributed over half the sites, making this the most comprehensive outdoor guide around. In addition, we received support from our conservation partners and Corporate Partners in Conservation. Their contributions aided in the securement of private land and the enhancement of public land for conservation and recreational opportunities. Several properties featured here have also been generously donated to Alberta Conservation Association by private landowners across Alberta, an enduring legacy for which generations of Albertans will be thankful.